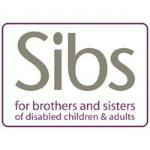 YoungSibs is for children and young people who have a brother or sister who is disabled, has special educational needs or a serious long-term condition. It is for siblings in the UK aged 6 to 17. Are there other siblings like me? There are lots of young people growing up with a disabled brother or sister and we call these young people SIBLINGS. There are over 600,000 young siblings in the UK – That’s about two siblings of disabled children in every classroom! Do other siblings have good times and difficult times? Growing up with a disabled brother or sister there are good times and difficult times. It is like this in all families even without disability or illness. Sometimes siblings like being with their brother or sister; sometimes they don’t. This is normal. It is normal to feel caring and protective and sometimes to feel fed up and irritated with your brother or sister. Why do other siblings use YoungSibs? To help siblings with these we have created YoungSibs. How can I get information on the YoungSibs website? How do I chat to other siblings? You can share your feelings and experiences with other siblings on YoungSibs chat. You can get ideas from each other and get support from other siblings going through the same things as you. Join the forum for young siblings now. How can I get help with a sibling issue? The YoungSibs team can help you with any question or sibling issue. All you have to do is send your message to the YoungSibs team. They will reply to you with ideas or will help you get support from your parent or school. Your message and reply will be private unless you want to have it published for others to see on the sibling letters page. Are there any leaflets for siblings? We have a leaflet for young siblings that we can post to you. You can tell us want a leaflet by sending us a message.